Sometimes I just feel like wearing something extra shiny and metallic, and this combo really satisfied that desire. 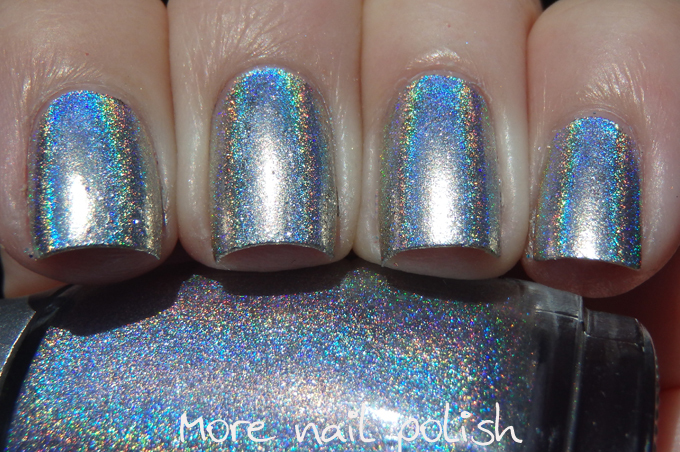 This was blindingly holo and metallic in the sun and still metallic in the shade too which was nice, because usually these ultra strong holos can look pretty dull in the shade. This is one coat of Lacquistry Amazeballz extra fine and then one coat of Nfu Oh 61. This is the original version of Nfu Oh 61, not the re-released one, which was much less holo. 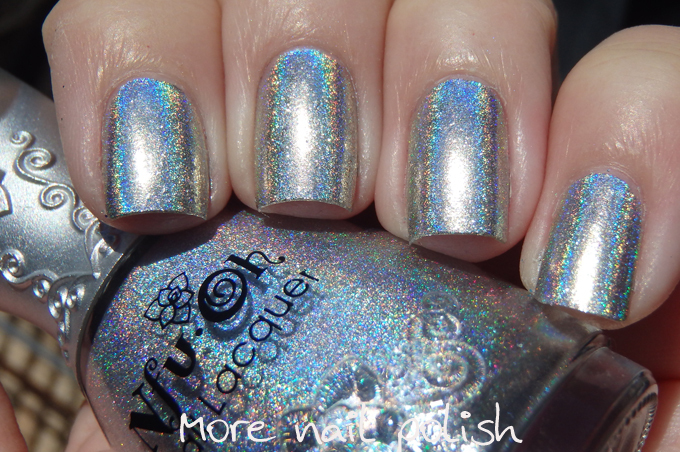 In fact, in my swatch stick comparisons of all my holos, my friends and I have been unable to determine the difference between origianl Nfu Oh 61 and Chanel Holographic. Which is awesome, cause now I don't feel like I need to drop $300 on the Chanel! 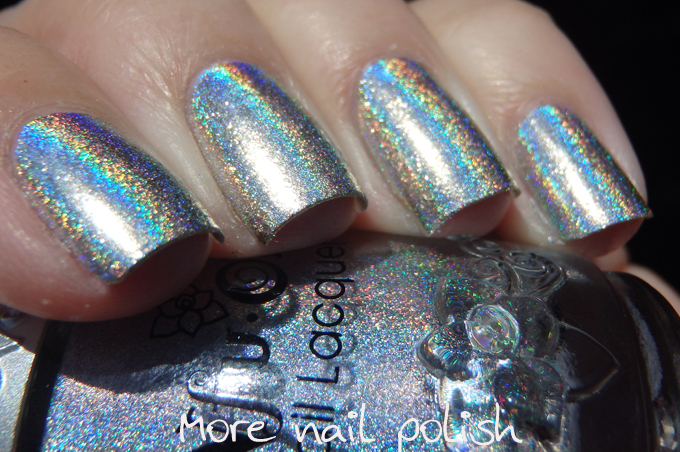 Ahhhh....holo is my fave, it can't be beat. Just love looking at it!